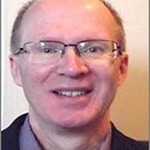 Since the publication of this blog John Young has left NHS England. In the jargon she was a “FLOF” – Found Lying on the Floor. That is to say the home care staff had found Mrs Greenaway lying on the floor next to her bed at 8am on a Saturday morning. “It was a fall waiting to happen”, they said. A couple of telephone calls later and Mrs Greenaway found herself under the lights of the local A&E department. Mrs Greenaway was a Bradford lady through and through. A hard life working in a textile mill as a burler & mender (hand finishing the woven cloth) had given her a patient and measured approach to life. She had brought up four children pretty much on her own, her husband having died young. She had approached her older age with quiet resourcefulness but still sparkling with humour. Certainly she had slowed up in recent years. Local friends had moved away or died, and she had found fewer and fewer reasons to go out, so that she had gradually drawn more into herself. Without really acknowledging it, she had become housebound. Her daughters had lovingly rallied round for support. Secretly, Mrs Greenaway quite liked the fuss and attention – but would never have said so! All of this narrative information was of course available to the A&E staff but remained unknown because they had more pressing information concerns: a paucity of background medical details, uncertain even of current medication or allergy status. They felt insecure in their clinical decision making. And the A&E department was as busy as always. The easiest decision by far was to admit her and sort things out downstream on a ward. Not at all what Mrs Greenaway wanted. Mrs Greenaway has frailty and is a single story but of more general concern. Over 640,000 older people present to A&E departments each year after a fall. Serious injuries and illness are fortunately uncommon. Could or should our health and care service offer more for the ‘frail elderly’ than this emergency response? Firstly, try a simple language change. Conceptualise Mrs Greenaway not as a category – the ‘frail elderly’ – but a ‘person living with frailty’. This is eminently apparent from her narrative: not an enfeebled lady but a lady who has many resources – her eventful past; her character; her family- to highlight just a few. But this change in perception does helpfully re-frame the situation into the familiar language of a person with a long-term condition (a person living with dementia, perhaps). Conceptualising frailty as a long-term condition helps us move away from our current predominant response of urgent and emergency care for the “frail elderly”. After all, people don’t become frail over-night. Frailty gradually develops over 10 to 15 years. Adequate opportunity, one would think, to consider proactive, preventative approaches. And the ingredients for successful proactive care programmes for people living with long-term conditions are well understood, namely, case finding; care continuity; supported self-management; and personalised care planning. Indeed, many modifiable components of frailty have been described and could be readily subsumed within a frailty customised version of supported self-management and care planning typically available for other long-term conditions. Our new understanding of a highly person-centred version of care and support planning would also require integrated responses from primary, community, mental health, voluntary, housing and social care sectors. Developing a community-based system of care for older people living with frailty is an exciting opportunity and one that is well within our grasp. Professor John Young was previously National Clinical Director for Integration and Frail & Elderly Care, since the publication of these blogs he has left NHS England.